Samsung makes some of the best displays in the market whether they are Super AMOLED panels for smartphones or gigantic TVs that take up your entire wall. Samsung Display has now announced a new ‘unbreakable’ OLED smartphone panel, certified by Underwriters Laboratories (UL). The panel was put through a series of tests performed in accordance with US military standards. The certification puts a seal of approval on the South Korean company’s claims that its new panel is unbreakable. UL, which happens to be a global safety consulting and certification company headquartered in the US state of Illinois, is also an official testing company for OSHA, the Occupational Safety and Health Administration of the US Department of Labor. UL reportedly put the display panel through rigorous real-time durability tests that are based on military standards set by the US Department of Defense. As part of the program, the device was reportedly dropped 26 times in succession from a height of 1.2 meters (nearly 4 feet) without any visible damage to its front, sides or edges. The panel was also subjected to extreme temperatures – a high of 71 degrees and low of -32 degrees – but it reportedly continued to function normally. 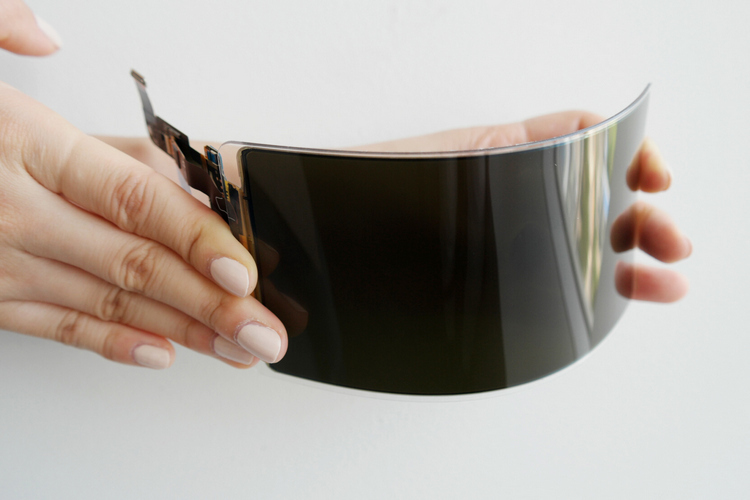 Samsung Display says it developed the flexible OLED panel with what it calls an ‘unbreakable substrate’, with an overlay window securely adhered to it. The company claims this process makes it stronger and more durable than current-generation flexible display products that attach a glass-covered window to their display. The company says that in addition to smartphones, the new technology will also be used in other electronic products, such as display consoles for automobiles, mobile military devices, portable game consoles and tablet PCs for e-learning. In a press statement, Hojung Kim, the general manager of the Communication Team at Samsung Display, said that, “The fortified plastic window is especially suitable for portable electronic devices not only because of its unbreakable characteristics, but also because of its lightweight, transmissivity and hardness, which are all very similar to glass”.